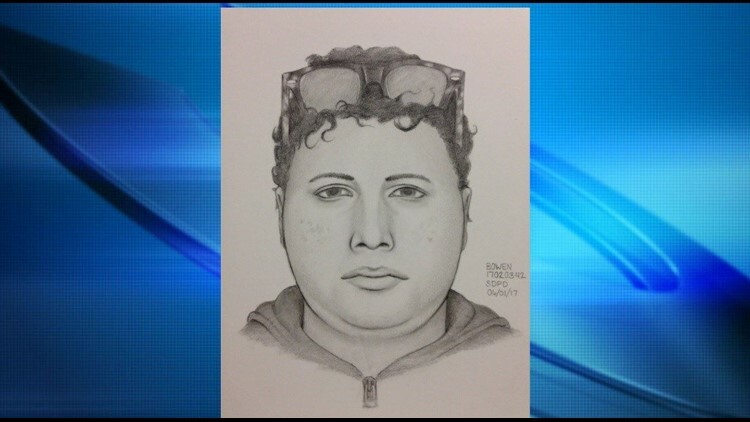 SAN DIEGO (CNS) - Authorities Thursday made public an artist's rendering of a man who harassed a 12-year-old girl last week by persistently following her through Tierrasanta, refusing to back off and leave her alone until she finally punched him and fled. San Diego police advised parents in the neighborhood east of state Route 15 and south of SR-52 to be on the lookout for the unidentified man and to report any sightings of him. About 5:45 p.m. on May 24, the child noticed the stranger, who appeared to be in his late 20s, walking behind her in the 4000 block of Santo Road, Lt. Jeff Jordon said. Growing uncomfortable, the girl crossed the street, only to see the man do likewise and continue to follow her. Eventually, she turned around, confronted him and told him to leave her alone, and he replied that he wanted to talk to her, Jordon said. She then resumed walking, and the man followed her again. Moments later, she stopped and faced him once more. "When he approached a second time, she struck him and ran away and hid," Jordon said. After concealing herself for a while and deciding that she had gotten away from the man, the girl went home and told her mother what had happened. The child described the man -- who did not touch her during the encounter -- as a roughly 5-foot-11-inch Latino or Filipino with a medium build. He was wearing blue jeans, a white T-shirt, a gray zip-up hooded jacket and gray Nike sneakers, and had sunglasses with a cheetah-spot design on the frames pulled up from his face and resting on top of his head. The man mumbled when he spoke and appeared to have a green tattoo on the back of his neck. Anyone with information about the incident was asked to call San Diego County Crime Stoppers at (888) 580-8477.